Adopt a Crib - Southern Tier Health Care System, Inc.
​Please help us keep babies safe by joining our Adopt a Crib campaign. 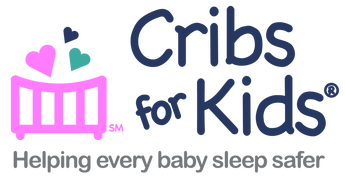 Make a donation to “Adopt a Crib” and provide a Pack 'n Play with a fitted sheet to a local family in need. Donations in any amount are gratefully accepted. A donation of just $55 will "Adopt a Crib" and keep a local baby sleeping safely. If you wish, we’ll recognize your generosity by labeling each crib you adopt with your name and acknowledging your donation on our website and Facebook page. All donations are tax deductible.